Craving to delve into the exotic charm of remote and ethnic villages of Odisha? In case, you are looking for a rustic travel experience in Odisha, Jeypore Tourism is meant for you. Jeypore is a largest town in the Koraput district of Odisha. It offers ample opportunities to indulge in village walks and nature sightseeing. It is a popular pilgrimage site and a paradise for nature lovers. The rustic tribal village and charming dreamscape together makes Jeypore Tourism a truly satiating experience. 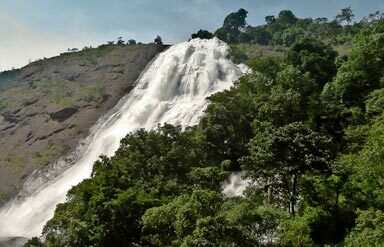 Additionally, there are several sightseeing options in the town like waterfalls, temples, caves, rivers, gardens and parks. The history of Jeypore suggests that it was once under the rule of King Vikram of Sankara Dynasty. 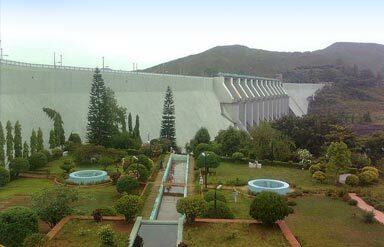 It served as the capital of Koraput Kingdom. The other dynasties like Ganga, Matsya, Sailavansis and Sankara had also ruled the kingdom. En-route, you will also find tribal villages like Kondh and Mali. In short, every little detail of Jeypore is going to intoxicate you with its charm. 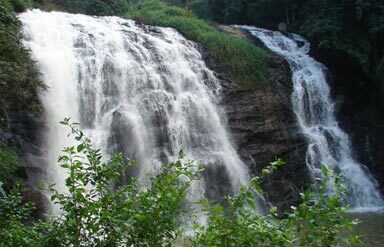 It is a bewitching waterfall located near Kolab River, serving as an ideal picnic spot. You can enjoy the scenery around along with the cascading pour of the waterfall. Cutting through the dense foliage and intertwined roots, the moon-whitened stream of Bagra waterfall offers a heavenly sight to its visitors. The inflow of pilgrims to the sacred site of Gupteshwar proves the power of religion regardless of how small the destination is. The famous cave temple of Gupteshwar is visited by tourists from all over the country. The holy lingam of Lord Shiva is hidden by rocks hence giving it the name Gupteshwar. The term ‘Gupteshwar’ means the ‘hidden rock’. During Shivaratri festival, the temple is jam-packed by the visitors. Flowers, fruits and sweets are offered to the deity. Non-believers can also have a good time as the shrine is blessed with panoramic vistas. The sweeping views of Minna Jhola draw tourists in large numbers every year. It is a beautiful nature’s spot located amidst the dense forest. It has a small temple of Lord Shiva, seated at the confluence of 3 rivers. The calm and serene surrounding makes it a major tourist hotspot. This is a popular picnic spot situated beside the Kolob reservoir. This spot is loved for its scenic splendour inviting the travellers for weekend outings. The garden is well- maintained with over 200 different species of flowering plants. Witness the most stunning views of sunset and capture the moment in camera forever. The glittering waterfall of Duduma is the tourist site worth visiting. Formed by Machkund River, it boasts of being one of the highest waterfalls in the region. It is surrounded by thick deciduous forests and the beautiful site looks even more breath-taking due to the babbling stream. Do spend a night in this area to enjoy it better. Dumuriput(10km), Sunabeda(18km), Damanjodi(35km) and Nandpur(45km) are some of the ideal weekend getaways for the globetrotters delving in Jeypore Tourism. Fill up your travel kitty with world’s best quality of cashews found in the shops of the town. There are more than 35 cashew industries in this region. The local bazaars of the town elegantly display the collection of show pieces, decorative wall hangings, traditional fabrics and handicrafts. The weather remains comparatively cooler than the other parts of the state. October- February is the best time to visit. You would not want to miss the town's famous biennial Thakurani Yatra festival. It lasts for more than a week and is celebrated with great fervour. Air: The nearest airport is in Visakhapatnam, nearly 260km away from the site. Rail: Rayagada Railway Station (130km) is the nearest railhead. It is connected to most of the major parts of India. Road: Regular buses run from the major cities of Odisha and Andhra Pradesh for the destination. So, book for Jeypore travel today and experience the ethnicity of Odisha enwrapped in the nature’s blanket.